At the Spring meeting of the LBCA on Wednesday 16th May you expressed interest in the proposal to establish rights of way over the land adjacent to the Hook and river. We have now booked The Farr Room at All Hallows Church from 6.45 to 9.00 on Monday 25th June with the intention of ‘training’ a number of volunteers on the processes involved in completing the forms, so that this band of volunteers can then help guide anyone else who wishes to complete the rights-of-way paperwork, at a follow up meeting. For this second meeting we have booked the upstairs room at The Poppy and Pint from 5.00 till 9.00 on Thursday 5th July. In the coming week we are also intending to have a leaflet delivered to all households in Lady Bay inviting those interested to come along on the 5th July where we will have the forms, the helpers and the time to get as many individual forms completed as possible in preparation for the next stage. If you are interested in becoming a volunteer helper and can commit to the initial training event on the 25th June, as well as the drop-in on Thursday 5th July (or indeed if you’re not available), can you reply to this email as soon as possible, so that we can ensure we have enough available people to make the 5th July meeting as smooth as possible. Many thanks in advance for any assistance you can offer. Can you help us please assemble evidence of cyclist use of this path before 1998? At the very well-attended 16 May Lady Bay Community Association Spring meeting there was a special discussion on the need to fight the proposed restriction of cycle access on the riverside path between The Hook and Holme Pierrepont and advice on completing Public rights of Way User Evidence Statement claim forms. 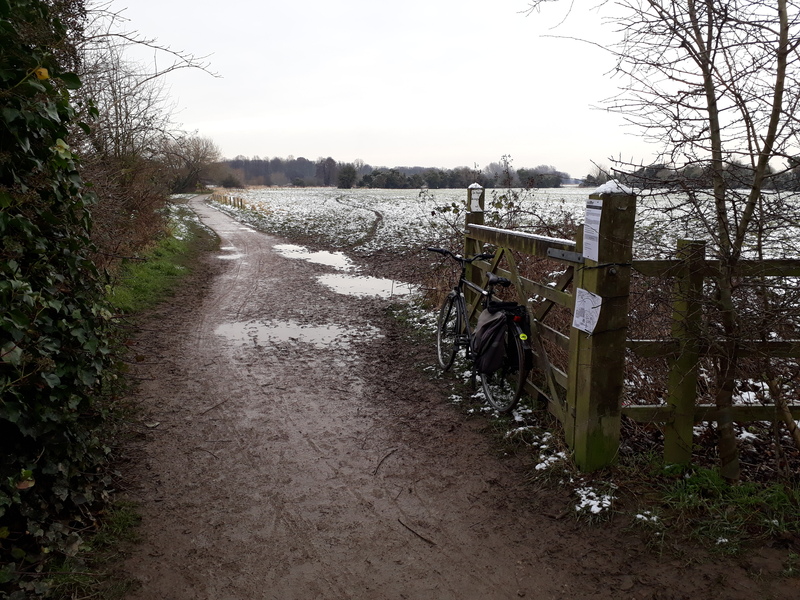 Also discussed, though of less interest to cyclists, was the related issue of the need to challenge the wish of the new landowner to restrict public access to the nearby field by putting in a claim for it to be designated a Village Green. Steve Parkhouse, a cyclist and also someone with extensive experience on behalf of Notts Ramblers in making such claims gave useful advice, emphasising the need for obtaining as many individual claims as possible as this might then be useful in persuading the landowner to negotiate and make some concession, rather than pursuing a formal claim which would take much longer. He also commented that, following work he has already done on looking at the historical rights of way records for this area, there are other important local paths with uncertain status for which we ought to make a claim, e.g. extending further along the river to Wilford. Meanwhile, he recommends that claims by cyclists should be not just for the disputed section between The Hook and Holme Pierrepont but should cover the whole riverside path route between Trent Bridge and Adbolton Lane, where the path along the western boundary of the Nottingham Sailing Club comes out from the riverside path. It should also include the connecting path between the eastern end of The Hook and Holme Road. He said that in any case it was always best for claims to cover a complete path connecting two points on roads. He also emphasised the need for general consistency in what we are claiming for, not only in terms of the exact route, but also in marking particular points on it. For example, he suggested, in the case of claims by cyclists (covering the whole route between Trent Bridge and Adbolton Lane) that we should mark on these points: Trent Bridge (Point A), the riverside path end of the path from Holme Road (as Point B) and the Holme road end this path as Point C with Point D being the point where the connecting path alongside the Sailing Club emerges on to Adbolton Lane. To help facilitate this he will soon let me have copies of a map of the whole area between Trent Bridge and Adbolton Lane he will soon send me a copy of map which I will pass on to other cyclists interested in making claims. This will replace the one Steve was given a few days ago by the County Council which only extended to half way between Lady Bay Bridge and Trent Bridge! To help encourage a wide response it was agreed that Steve would soon organise another meeting in Lady Bay where people could be given forms to fill in and advised on how best to do so, drawing on their own personal experience, particularly of usage between 1978 and 1998, and attaching if possible any relevant documentation such as photos or relevant extracts from the old County Council Guided Rides Programmes. Do please encourage other cyclists to submit their individual User Evidence Statement claim forms and to let me (and Steve) know asap if they are willing to do this. We can then arrange to give them further guidance whether or not they are able to attend the proposed further meeting and whether or not they want to do the claim online or on paper. Meanwhile I am attaching a revised draft of my own form (map etc. to be added later), taking account of the advice from Steve yesterday. The form I have filled in is to show what style of answer you need to give, but the content of the answer must be your own and in your own words. 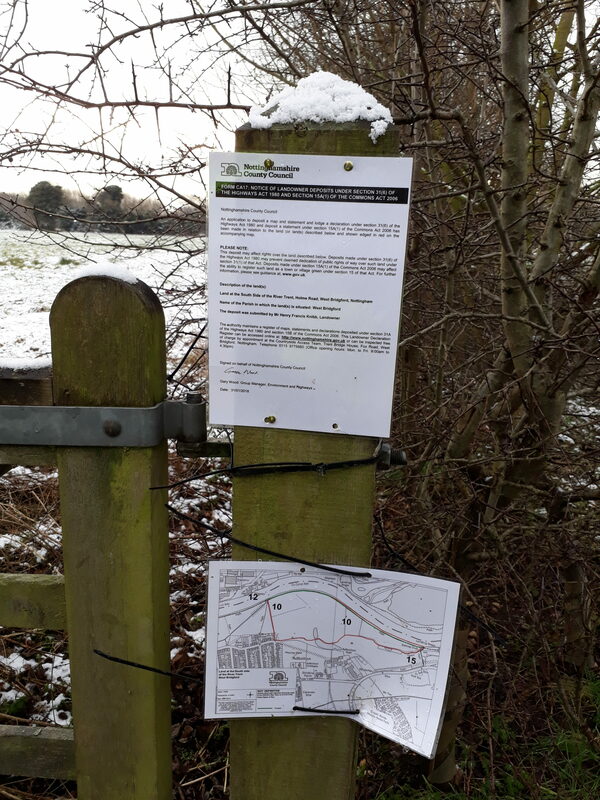 Pedals is strongly supporting the local campaign for keeping open the riverside path between The Hook and Holme Pierrepont following the news in early February that the landowner wishes to exclude public access after April. 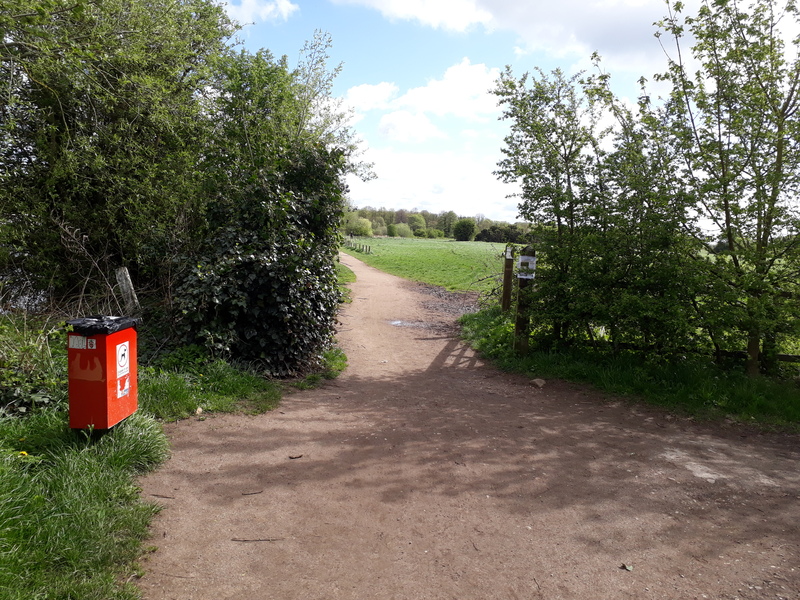 This path, widely used by cyclists, walkers and runners, is a vital part of the riverside path on the south bank of the Trent, between Wilford and Holme Pierrepont, including the National Water Sports Centre and Country Park. 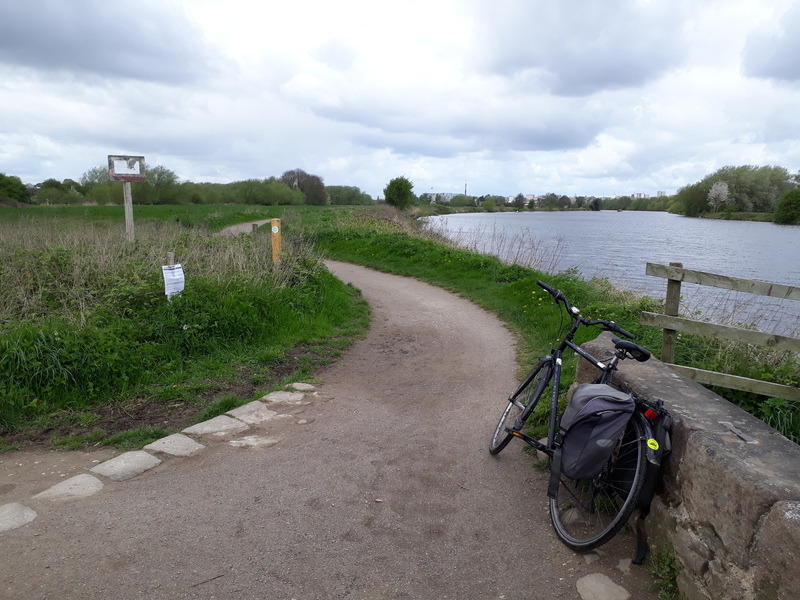 It also connect to Route 15 of the Sustrans National Cycle Network and the Trent Valley Way long distance footpath.